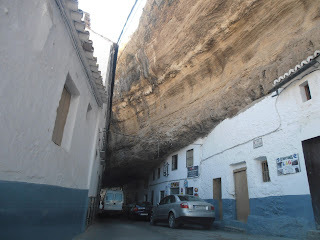 When I first saw a photo of Setenil de las Bodegas on a Spanish blog I knew I had to go. 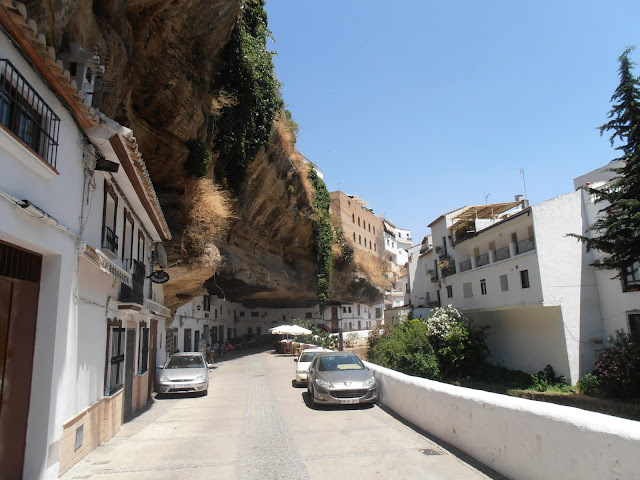 Spain has so many cave houses and houses built on rock but these looked different. Rock seemed to spring from roofs or was it just facades built between over hanging rocks? The narrow river gorge and extended rock provides an amazing setting to this, which has to be one of the best, of the 'White Villages'. 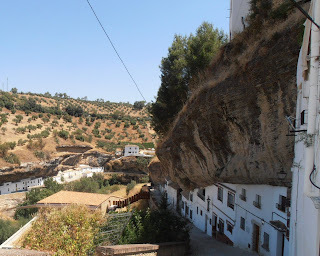 A term that annoys me greatly as every village here is white and most charming, except Juzcar of course which was painted blue for the latest Smurf movie and the villagers voted to keep it blue. It's unsure how long the town has existed but some think as long ago as 25,000 years. 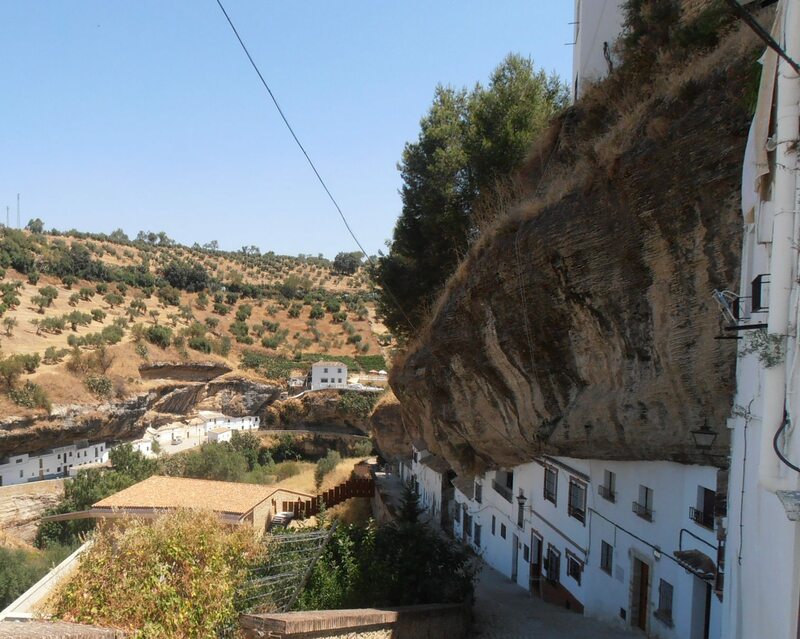 It is clear that the site was occupied during the Roman invasion of the 1st century and its castle is probably from the 12th century Almohad period. 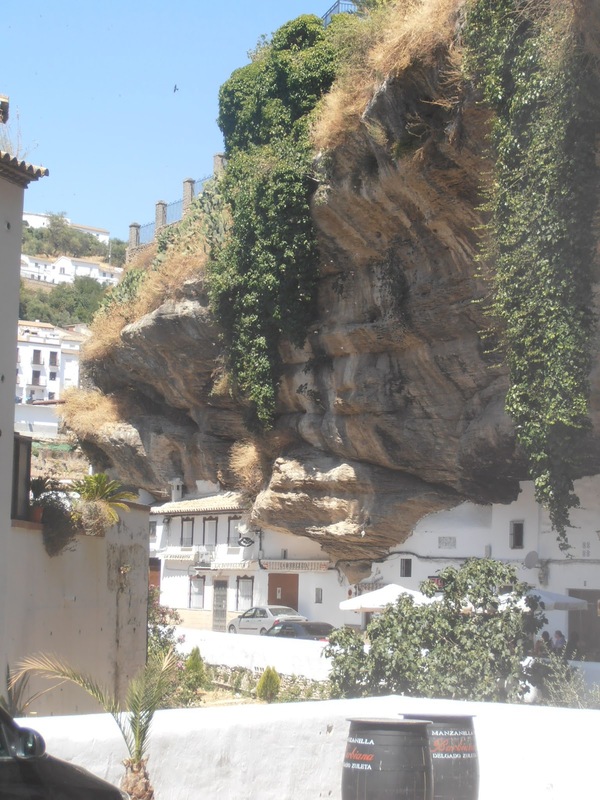 The name Setenil is thought to have come from the Roman septem nihil 'seven times nothing' referring to the seven sieges necessary for it to fall from Moorish hands to the Christian Kings in 1484. 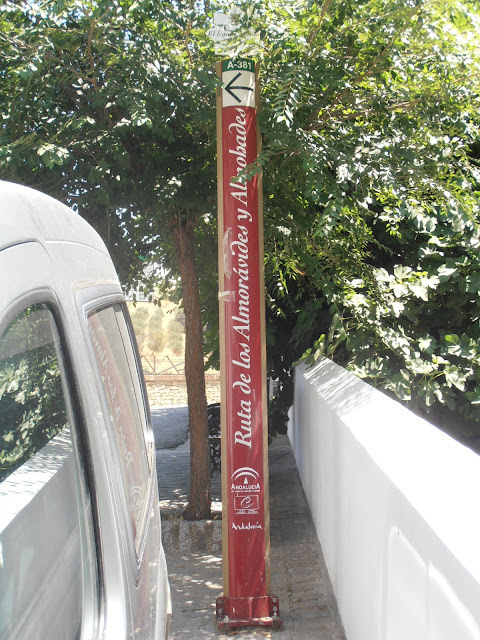 The de las bodegas was an later addition when the Christians added vineyards to the olive and almond groves planted by the Moors. The Bodegas meaning wine cellars fell in disuse after the vines were wiped out by phylloxera in the 1860s. 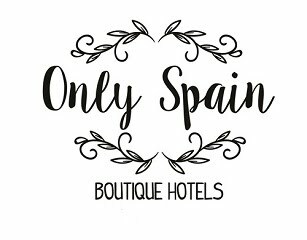 Today Setenil de las Bodegas is gaining a local reputation for its chorizo and pork products. 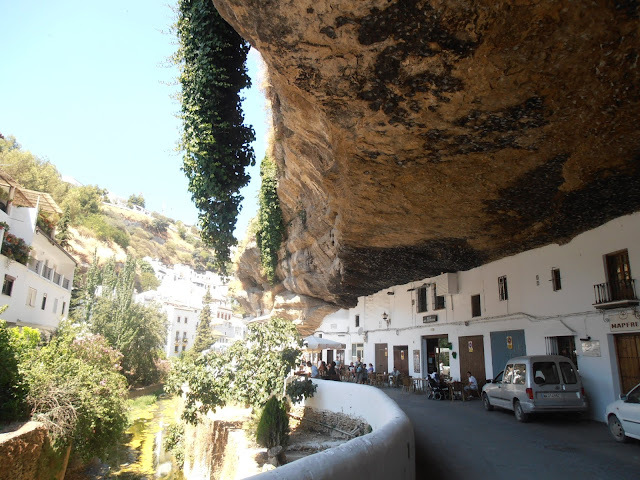 And when you look up..
Setenil is on the La Ruta de Almoravides y Almohades, one of the Rutas El Legado Andalusi, which crosses the Pueblos Blancos in Cadiz from Algeciras to Granada via Cadiz, Jerez, Ronda and Velez-Malaga. 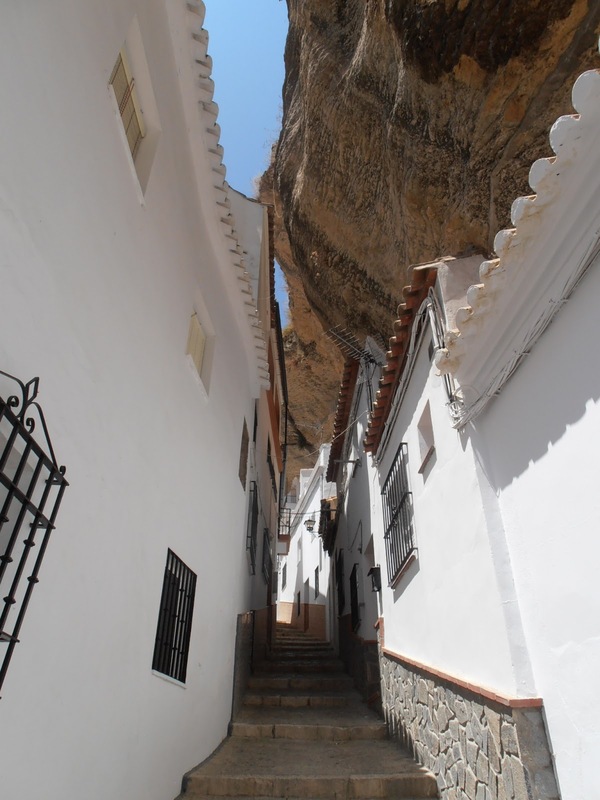 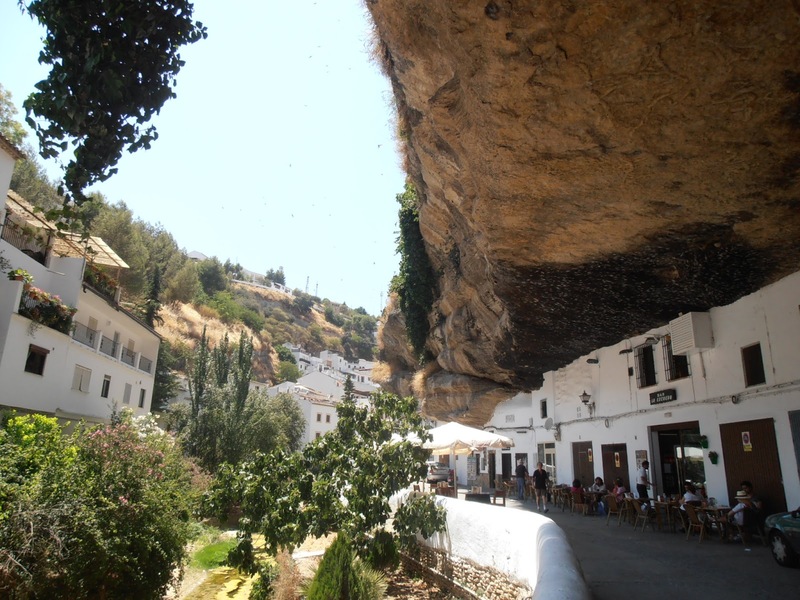 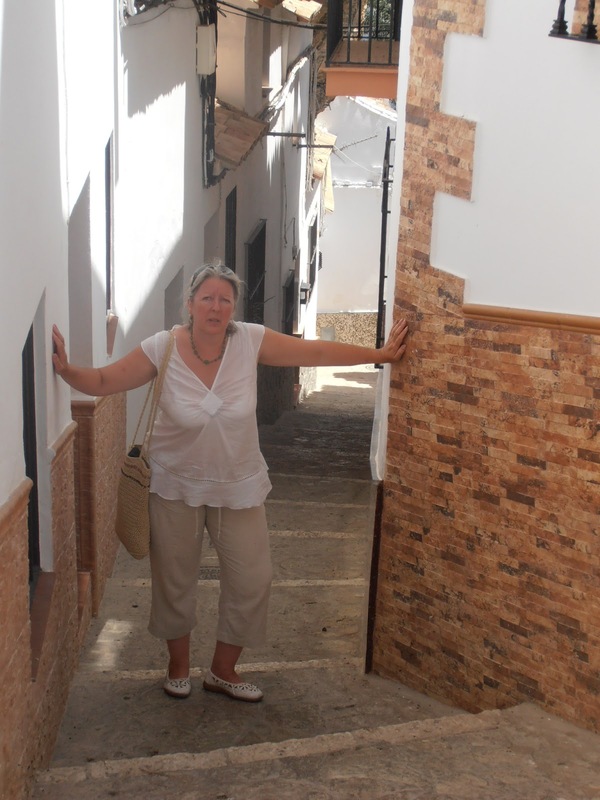 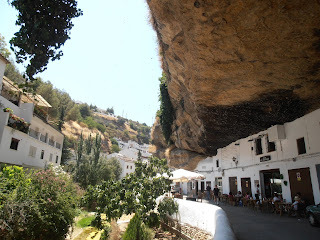 I visited Setenil while staying in Ronda with hubby and visited several other locations on the White Village Route too.